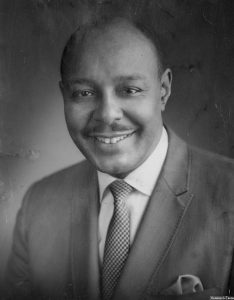 Louis Stokes, brother of Carl Stokes, was a congressman in the United States House of Representatives from 1969 – 1999. During his time in office, Stokes served on numerous committees including the House Select Committee on Assassinations, the Ethics Committee, and the House Intelligence Committee. He was interviewed for Teaching Cleveland Digital at the Maltz Museum of Jewish Heritage on January 20, 2014 to celebrate Martin Luther King day. This is a five-part interview with Mr. Stokes. Cameras by Jerry Mann and Meagan Lawton, Edited by Meagan Lawton, Interviewed by Brent Larkin. © 2014 Jerry Mann and Teaching Cleveland Digital.